FNT Software was founded in 1994. Since then FNT’s has become a leading provider of integrated software solutions for IT management, data center infrastructure management and telecommunication infrastructure management worldwide. FNT’s customer base now includes more than 500 customers with a wide range of well-known organizations varying from the automotive industry to airports to telecommunications and IT service providers. One of FNT’s founders is current CEO Nikolaus Albrecht. We recently sat down with Nikolaus to discuss his thoughts, perspective, and vision on FNT Software’s growth opportunities and market differentiation. Where are the growth opportunities for FNT Software? Are there any specific market sectors or use cases you plan to focus on? 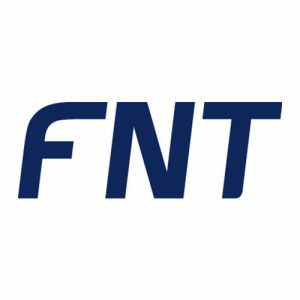 FNT has locations in the US, Middle East, Russia, Germany and Asia, but the ultimate goal is to be an international company. We have especially high expectations for growth in the US. In the next five years, we plan to have the US represent half of our European revenue. There is also opportunity for growth in helping organizations address the intersection of IT infrastructure and service management. The “big picture” includes expanding the robust capabilities of FNT Command and FNT ServicePlanet to support all types of service delivery models. FNT also has a unique opportunity to grow through consulting. Our acquisition of bluEDGE service management experts has expanded our consulting practice, offering domain expertise to help organizations align IT infrastructure with service-oriented management. What was the biggest achievement for FNT Software since being founded in 1994? There have been many achievements and milestones since FNT was founded in 1994. We have developed a comprehensive and powerful platform that documents IT and configuration management as well as solutions to support cable management and service-oriented projects. At the core is FNT’s focus on working closely with customers to understand their specific needs and build software to help automate an array of processes. We continue to partner with customers to understand their challenges and deliver solutions. Years ago, FNT created custom software for each of our customers. We then expanded on this knowledge to create a platform that guides clients and offers functionality to automate their operations and fit multiple business models on a global scale. Our experience with DCIM, cabling management, and IT service delivery is providing new and innovative solutions to help global organizations with their specific requirements. Early on we were led by customers. Today we are leading them. FNT is considered a standard, drawing from experience, best practices and use cases that support organizations around the world. What are the challenges organizations face today and how does FNT’s software offer a solution? Companies need to document their IT stack and IT departments need to delivery an array of services; without knowing what they have, the capacity to make decisions, expand infrastructure, control costs, etc. This all starts with documenting their infrastructure, something our software does with incredible precision. We are leading the effort around the world to document network resources to enable IT organizations to deliver service-oriented solutions. But additionally to the transparency that we can deliver by documenting the ICT stack, we have now enriched our solution by providing a methodology that helps our customers to speed-up their time-to-market and time-to-deliver ICT services while reducing operational costs. What is one word that best describes FNT Software and why? When I think about FNT, two words come to mind: innovative and team-oriented. We are always thinking of new methods and ideas to help our customers and truly collaborate and work well together as a company. This is something I am extremely proud of and grateful for. What differentiates FNT Software from other competitors? FNT is smaller than some competitors which makes us more flexible, focused and nimble. Compared to large enterprise vendors, we are a speedboat and have the agility to be attentive to customers and react quickly to market needs. Unlike large software vendors, FNT’s decision process is very different. Our size allows us to make decisions faster and partner with customers to provide solutions to meet their needs. What is the goal(s) for FNT Software in the next five years? We are on track to be the leading software solution for documenting IT and driving service-oriented delivery models. FNT aims to be the engine that is an integral part of service, configuration, management, hardware, etc. In the next five years, we plan to double our customer base through international customers. What is the long term vision of FNT and the effect on product strategy and portfolio? FNT will continue to focus on being the nucleus of IT service delivery and management. We will continue to expand our product lines to help organizations address their complex and constantly changing IT infrastructure and service-oriented management initiatives. FNT will provide software and proven methods for the digital transformation within the whole ICT industry. Outside of work, how do you spend your time? When I’m not working, I love spending time with my family. I also enjoy being outdoors and partaking in activities such as soccer, golf and fishing.